The Office of the Vice-President has asked Zambia Revenue Authority to put a customs duty waiver on all donated items that government will haul across to Malawi and Zimbabwe at Muchinji and Chirundu borders posts respectively. 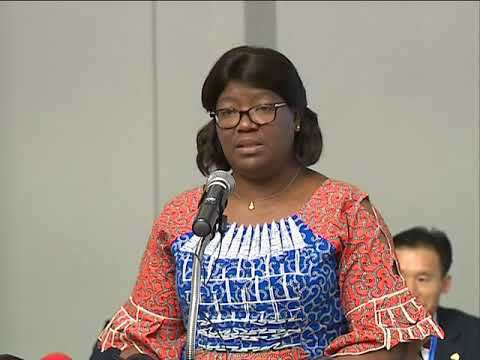 Minister in the Office of the Vice-President Sylvia Chalikosa said the decision would eliminate unnecessary delays and reduce the costs when delivering humanitarian relief packages to the countries hit by the Cyclone Idai. Chalikosa was speaking when she received a donation of over K168, 000 cheque from ZRA and US$5, 000 worth of medical and health supplies from Shalina Pharmaceuticals in Lusaka today. ZRA Commissioner General Kingsley Chanda said the Authority would continue to support the efforts of the Disaster Management and Mitigation Unit (ZMMU) to mitigate the impact of disasters within and outside the country. There are currently more than 3 million people affected in the three countries, with more than 600 dead while 300 people have been displaced. Cyclone Idai hit Mozambique, Zimbabwe and Malawi on March 14, 2019 and has damaged infrastructure including roads and bridges, people’s livelihoods and businesses have been disrupted leaving many of the populations in need of relief food and supplies.